We are deep into the harvest season and winter is approaching. The changing season signals a busy time for KCARE: we are launching number of new projects, submitting reports, and there are many upcoming meetings and conferences. To keep yourself up-to-date, I invite you to follow KCARE’s new Twitter page, @KStateKCARE. Please send us your news and events so we can get your information out to our followers! I want to particularly remind everyone about two upcoming events. The Governor’s Water Conference will be held in Manhattan on November 8-9. This years’ program looks outstanding, and I suggest registering as soon as possible to avoid disappointment. Prior to the Governor’s Conference, on November 6-7, K-State will host a project meeting NIFA Ogallala Water CAP project meeting. Irrigation and water research and extension faculty from K-State and eight other universities will take part in the discussion about irrigation and water research. I am looking forward to seeing our results from 2017 and making plans for next year’s research and extension activities. The sixth annual Governor’s Conference on the Future of Water in Kansas will be held November 8-9 at the Hilton Garden Inn and Conference Center in Manhattan, Kansas. The conference brings together scientists, water managers, state and federal officials and legislators, city and county administrators, environmental organizations, irrigators and citizens who share an interest in Kansas water resources. Events for the conference include special speakers, a photo contest and poster session. The Water Legacy and Be the Vision award recipients also will be presented. Breakout sessions will cover a variety of subjects: in addition to a session about emergency response efforts in Kansas, panelists from other states will discuss how agricultural and municipal stakeholders partner to benefit and improve water supply. Other sessions will feature federal and state leaders’ updates on the Farm Bill, and Israeli officials will provide updates in another breakout session on their successes and challenges going from drought to surplus water supply. 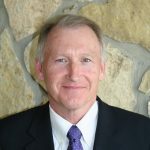 Keynote speakers on day one include Jim Guilliford, EPA Region 7 Administrator, and Michael Teague, Oklahoma Secretary of Energy and the Environment. Sponsors for the event include over 40 different businesses, associations, and agencies from across Kansas. Registration has sold out for day two of the conference, but interested attendees can contact the Kansas Water Office to be placed on a waiting list. Registration for day one is still open. Although the core mission for us remains the same, our look is starting to change. As a part of this, we are happy to share with you the new KCARE logo. This new design encompasses the connection between agriculture and the environment which is at the heart of KCARE. Any KCARE affiliates are invited to use this logo: as a link to the KCARE site on your personal or departmental webpages, on brochures or handouts including KCARE-supported research, or anywhere else you want to highlight our partnership. If you would like to use the KCARE logo, please contact Melissa Harvey (mharvey@ksu.edu) for more information. We have also launched a new KCARE Twitter account. Please follow us at @KStateKCARE to learn about current projects, events, or other news. Of course, we welcome your input: if there’s something you think we need to highlight, either on our website or on our Twitter account, don’t be shy! Let us know! Fort Riley looms large to the southwest of Manhattan, spreading over 100,000 acres and serving more than 40,000 active duty service members, their families, and other civilian employees. The base is surrounded by water: it’s sandwiched between two reservoirs – Milford and Tuttle Creek – and located along both the Republican and Kansas Rivers. Because of this, Fort Riley was selected in 2011 to participate in the “Net Zero Initiative” as one of six Net Zero Water Pilot instillations tasked to maintain the quality and quantity of groundwater and surface water resources in the area. For K-State professor Stacy Hutchinson, this was an opportunity to evaluate the limitations and advantages of an advanced oxidation water treatment process, and assess the applications of this system using water samples from Fort Riley. The advanced oxidation process – or AOP – is a system that uses UV irradiation and ozone to treat biologically contaminated water. The process isn’t new, but the design is unique: Hutchinson and her team wanted to make the system mobile to assist with troop security in forward deployment areas. Those troops cannot always rely on supply convoys, and often cannot transport caustic chemicals for water decontamination or carry heavy supplies of potable water. Instead, they could use the mobile AOP on water from local sources or wells, even ones contaminated with a biological agent. 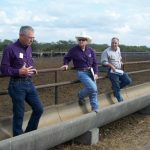 Over fifty local producers, K-State researchers, and other experts gathered for a feedlot field day in early October to discuss the importance of both cattle and feeding facility management. The event showcased the well-designed and managed cattle backgrounding facility owned by Jarret and Shawna Moyer north of Emporia. K-State watershed specialists used the event to stress the importance and value of feedlot management in relation to water quality. 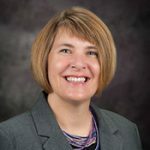 K-State professor Stacy Hutchinson is an award-winning teacher and a decorated U.S. Army veteran. 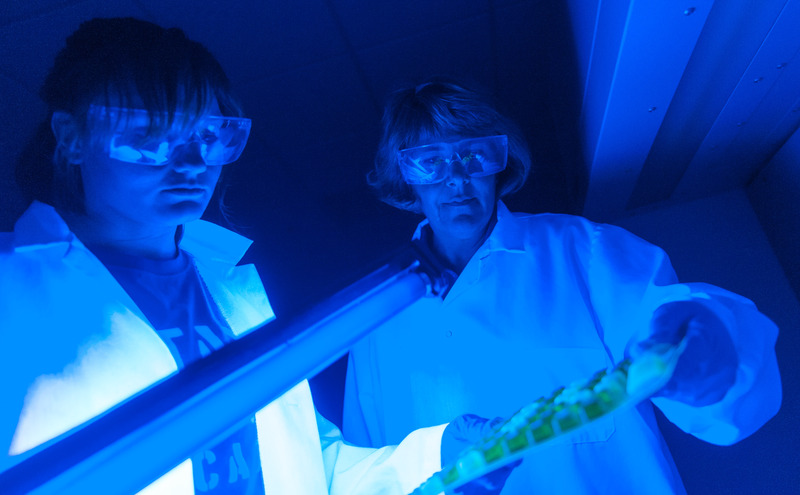 Her work in the Department of Biological and Agricultural Engineering focuses on developing new techniques for improving water quality and quantity as well as sustainable water management practices. Her projects have been awarded funding from the U.S. Environmental Protection Agency, the National Science Foundation, the Department of Defense, and the US Department of Agriculture.